Located in Istanbul (Sultanahmet), Four Doors Hotel is within a 10-minute walk of Sultanahmet Square and Hippodrome of Constantinople. 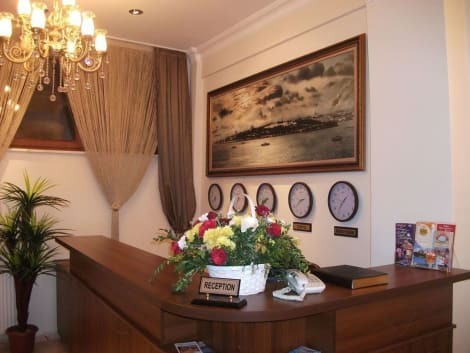 This hotel is 0.4 mi (0.7 km) from Grand Bazaar and 0.5 mi (0.8 km) from Blue Mosque. 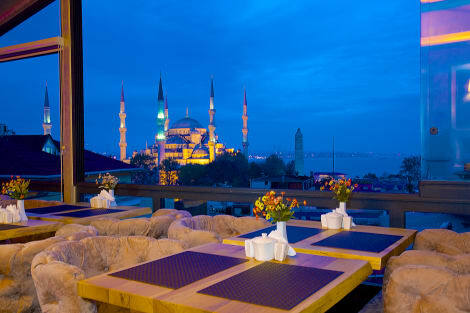 A stay at Ada Hotel places you in the heart of Istanbul, within a 10-minute walk of Sultanahmet Square and Blue Mosque. 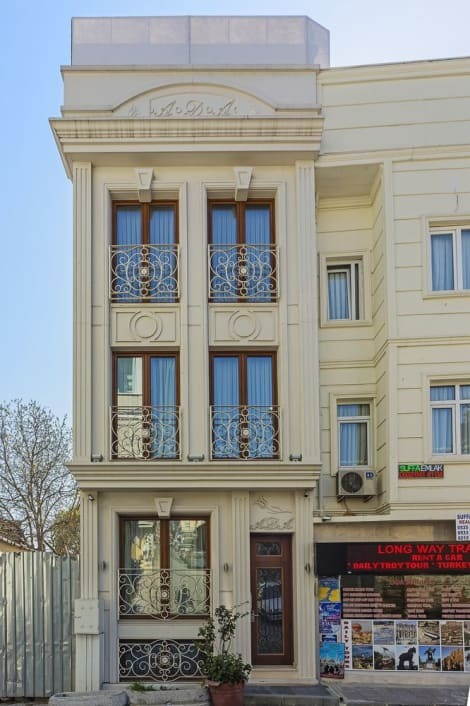 This hotel is 0.5 mi (0.8 km) from Hagia Sophia and 0.5 mi (0.8 km) from Grand Bazaar. Situated in the heart of Istanbul’s Old City, Sultanahmet, Hotel Perula is only 750 m from the Grand Bazaar. Topkapi Palace is 1 km away and Hagia Sophia is a 2-minute walk away. Complimentary Turkish delight is offered upon check-in. The air-conditioned rooms of Perula are decorated with floor-to-ceiling windows and elegant wooden furniture. All rooms have a flat-screen TV, free Wi-Fi and a minibar. Air conditioning is standard. Hotel Perula’s reception is open 24/7. Fatih is a great choice for travellers interested in museums, monuments and architecture.